At Essex Care Consortium we are now offering a pioneering approach to supporting people with learning disabilities, mental illness, dual diagnosis and associated needs. We enable them to live as independently as possible in their own personal space without compromising their safety or the safety of those caring for them. 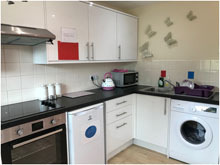 Within our registered home environment, we offer individually designed, independent flats in which clients can enjoy a unique and personal service built exclusively around their needs and wishes with as much or little support as required within the wider security and support offered by a fully staffed registered home. 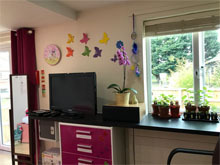 Essex Care Consortium is pleased to offer a series of specialist single service facilities; each client has their own individually designed flat with allocated staff members whose training reflects the client’s particular needs. Further staff support is available to provide relief for allocated personal staff and support as and when required. Within our environment we are often able to support clients with 1:1 staffing with only an occasional use of 2:1 staffing for external visits, where previously a minimum of 2:1 staffing has been required at all times. 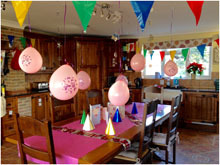 This approach is made possible by the existence of the wider support network within the registered home.